This is a fantastic physical exfoliator. It comes out as a light paste, with mild exfoliating particles. As you rub it onto your face, it feels like a soft scrub that never feels harsh or irritating. You can scrub for a while and it would be just fine due to the gentle nature. What I love about this product is how it actually feels and looks like it is working while it scrubs, with dead skin cells pilling off your skin. When you rinse it off, you're left with glowing skin that is perfectly balanced and ultra soft. Highly recommend! This is a fantastic moisturizer, regardless of your age or skin type. It has a lightweight, gel consistency, but unlike most gels, this one does not have you feeling dry within an hour. My favorite way to use this is to mix it with lala retro, also by drunk elephant. Doing so creates a hydrating, anti-aging powerhouse that I can also rely on hydrating my skin and giving me a healthy glow. The one thing I want to add is how this cream may not be enough to hydrate extremely dry skin, for super dry skin I recommend the mixing technique! This is a staple in my routine, and I have repurchased it twice already! You cannot go wrong with this product. I usually love everything by Fresh, so I was excited to give this a try. This essence has a thicker consistency than others I’ve tried (tatcha, skii, amore pacific) and feels nice and hydrating upon application. I used this for about a week, and I at first noticed I was getting under the skin bumps but I thought it was due to another product and kept using the essence. Towards the end of the week, I was COVERED in pimples. Not small ones either, I’m talking massive, deep cysts that are hard to get rid of. I haven’t had a product break me out so badly in a long time. As soon as I stopped using this, my skin cleared up. Thus, if you have acne prone skin and a sensitivity to citrus essential oils (like I do) I would avoid this. Also, as the days went on I didn’t find my skin was hydrated, it actually felt drier than when I used other essences. In general I would recommend the other three essences I mentioned, especially if you are acne prone. If you don’t have an issue with breakouts though, I could see you really enjoying this essence. I’ve tried many spfs, both chemical and physical, and I found out I’m all about the physical! This one from farmacy is my favorite (I’ve bought it three times already!) it provides amazing protection, I wore it to the beach over the summer and didn’t burn at all. Since it’s physical, you have to rub it into the skin a bit more so there’s no white cast! This spf isn’t drying, in fact, I find it nourishing on the skin and it slightly blurs my skin! A lot of people are comparing this to the tatcha spf, and I personally prefer this version as there is no scent, and I find that the tatcha one can clog my pores at times. So if you have acne prone skin, I suggest this farmacy one. I strongly recommend this spf if you’re looking for a great, physical option! I was so excited for this highlighter! It looks stunning in person, and I love a light gold highlight, even on my fair complexion. I was worried that this highlighter would be too gold...and I was sadly right. 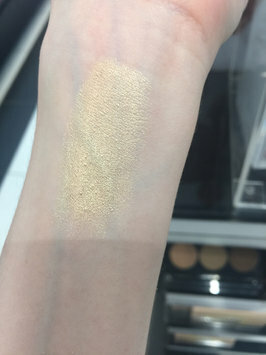 This highlight does not even look like a highlighter on fair skin, it looks like you took a light gold eyeshadow and tried to apply it to your cheekbones. The gold undertone is just too strong and makes the highlight look like a gold streak on the face rather than a gorgeous glow. I'm disappointed it doesn't work for me, but the highlighter itself is quite stunning on everyone from light to deep skin tones. The formula is incredibly smooth and soft, so I feel like it sits well on the skin, the color is just off. I just wanted to let anyone who is super fair to know that this will likely not work for them as a highlight. Bummer, I know! This looks stunning in person, pictures don’t do it justice. It looks like a piece of art, making it the perfect item to display on your vanity! Applying this, it went on silky (true to name) and melts right into the skin, leaving behind a soft makeup base. 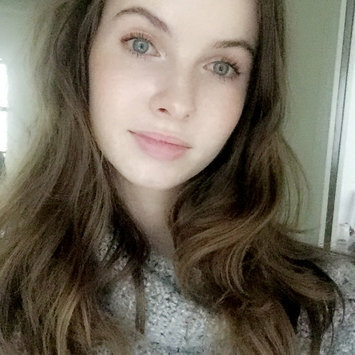 I noticed my pores were definitely minimized and my makeup wore better than usual! The one thing that concerns me about this primer is that I find myself getting oilier as the day goes on. Thus, while this claims to control oil, I don't think I can agree. However, if you have drier skin, I feel like this would be an amazing primer where you won't have to touch up much throughout the day. Still, I enjoy this primer as it gives my skin a blurred appearance while prolonging the wear of my foundation. This is just something you have to try for yourself! I received this free from influnster for testing purposes, and I have to say I seriously love this razor, which does not sound like a normal thing to love (a razor is a razor is it not?) But nope, this one stands out among the myriad of other razors on the market. I was initially surprised as to how heavy this razor feels, it just feels luxurious as soon as you take it out of the package. Plus the heaviness and grip help in the shower, as there is less of a chance you'll slip and cut yourself (the worst). I was left with super smooth, silky legs that I truly did not mind shaving the next evening, as the experience of using this razor was a rather enjoyable one. I recommend it! When I first tried this, I was pleasantly surprised by the airy, lightweight texture. This is not those Olay creams our grandma's used that's for sure. The cream sinks in right away and leaves a relatively matte finish. My skin is combination, and while I feel the cream did a good job in my T zone, I feel like it was not hydrating for the rest of my face. For myself, I prefer a moisturizer that has a bit more longevity in terms of hydration, and by the end of the day, my skin felt on the tighter side rather than happy and hydrated. What really worries me about this moisturizer, however, is that I woke up the next day with new acne spots. While I do have acne prone skin, I am usually pretty good at keeping it in check, and this cream was the only different thing I added to my routine. When I then inspected the ingredients of this product, I understood why I broke out. Unfortunately, there are some comedogenic ingredients in this moisturizer, as well as other potential irritants (fragrance). Thus, I would recommend this to those with normal skin who want a pretty standard moisturizer, but I urge anyone with acne prone/sensitive skin to look elsewhere. Now excuse me while I go drench my face in a clay mask to help the current disaster that is my face. I was so excited to try this when I heard about it, as I love to look glowy and radiant. First off, the lightest shade is a bit too dark for my complexion, which was a bummer, but I was able to make it acceptable since it's a tinted moisturizer and not a full-blown foundation. I love how this looks when I first apply it! It truly is dewy, so I HAVE to set it with powder, and a lot of it to keep the oil in check. However, within an hour or so, I am so shiny that I feel gross and look sweaty...not a cute look. I have to always touch this up, which is annoying. What really ruins this for me though, is that it settles weird throughout the day because of how it mixes with my oily-combo skin...Thus I recommend this to people who have normal or drier skin, as it is a bit too over the top glowy/greasy if you have even remotely oily skin. For comparison, this particular product reminds me a lot of the IT Cosmetics CC cream (the illuminated version) so if you love that product, you will probably love this! It's not a bad product, it's actually pretty great, but it just doesn't work for me.